For flat and jump purposes, on grass or on sand, the Maisons-Laffitte training centre offers its users a great variety in exceptional surroundings. It is situated in the heart of the park, where horses come first and where the roads are lined with bridal paths. 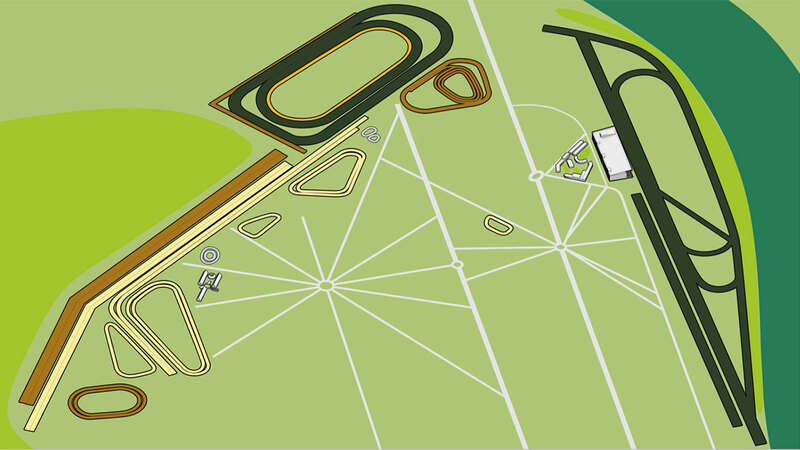 The Maisons-Laffitte training centre has 10 km of sand gallops, 30 km of trotting and access sand tracks, 20 km of grass gallops, as well as 1.5 km of fibre sand tracks. Only 17 km from the Auteuil racecourse, our site is the most complete and is perfectly adapted to the needs of every racehorse.